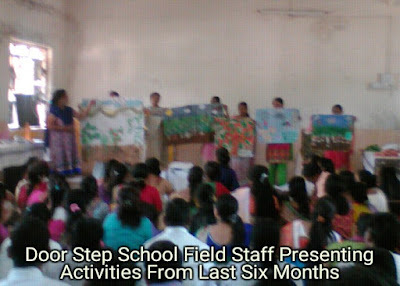 Over last 25 years, Door Step School has expanded reach of educational activities from hundreds to thousands of underprivileged children in Pune. The objective is to take education at the doorstep of children, hence the activity centers are spread across entire geography of the city and surrounding area. The teaching methods and teacher training model have almost been standardized over these years. However, close monitoring and periodic reviews play an important role in effective implementation of Door Step School programmes. The organization follows innovative tools of data collection and data analysis, for impact evaluation and corrective measures. 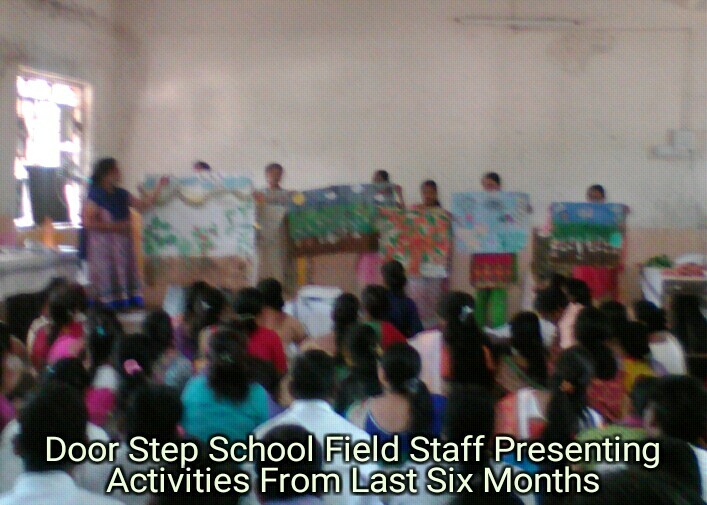 Apart from monthly review meetings, Door Step School also conducts half-yearly project-wise presentations. 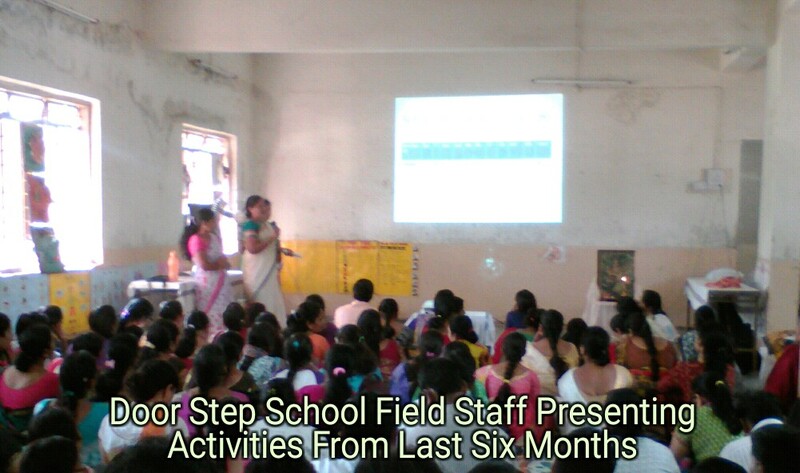 The field team presents activities carried out through last six months. Achievements in learning levels against targets set at the beginning are reviewed, problems and special mentions are discussed, and the efforts of teachers and support staff are well appreciated. These review meetings are important for the entire team for knowledge sharing among people working in various areas and situations. All team members are excited to share their experiences and success stories. This is an opportunity for the organization to review and ensure all pieces of the programme are in place. This is also an opportunity for the field staff to showcase their work and gain motivation to keep working ahead!